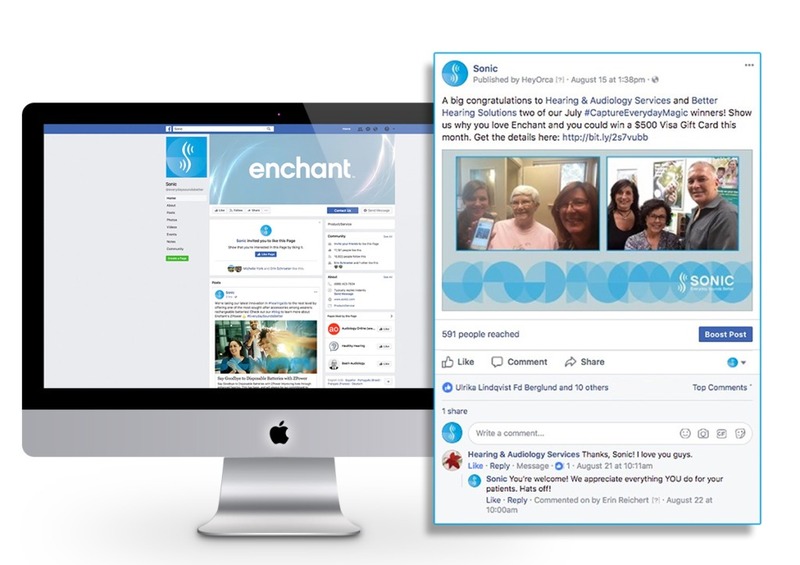 A dual-pronged content marketing and social media program to grow brand awareness, build engagement and accelerate lead generation among B2B and B2C audiences. 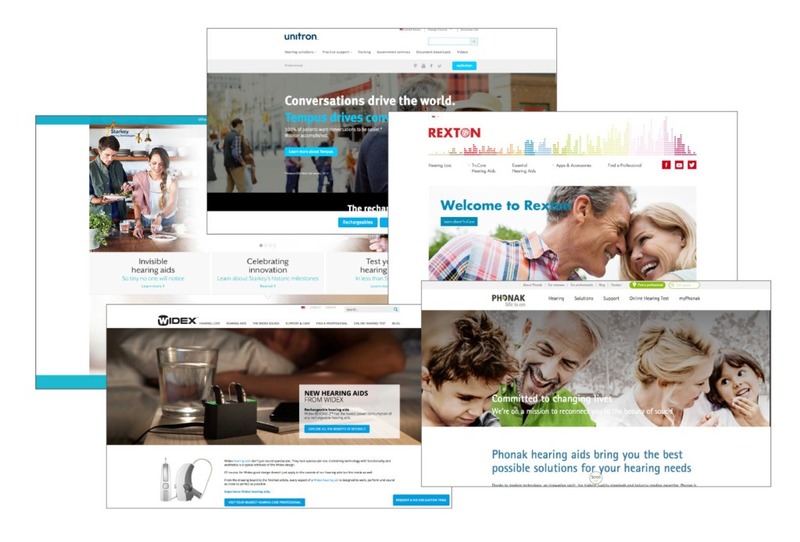 Sonic, a publicly traded hearing aid company in more than 25 countries, engaged Trajectory to reignite U.S. marketing and bolster its position in hearing health. 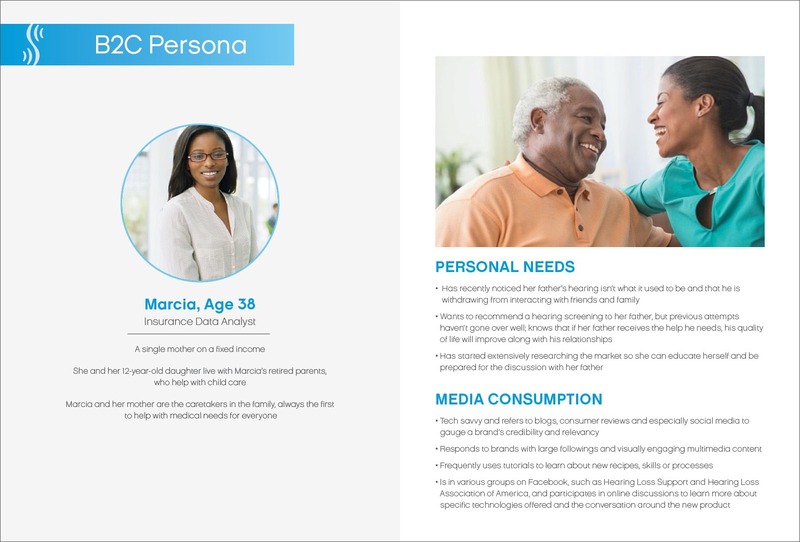 Deep dive exploration to better understand how to connect with Hearing Care Professionals and hearing loss consumers. Drilled down into key competitors stories, messaging, web experience, blog content and social presence to ensure Sonic brand differentiation. 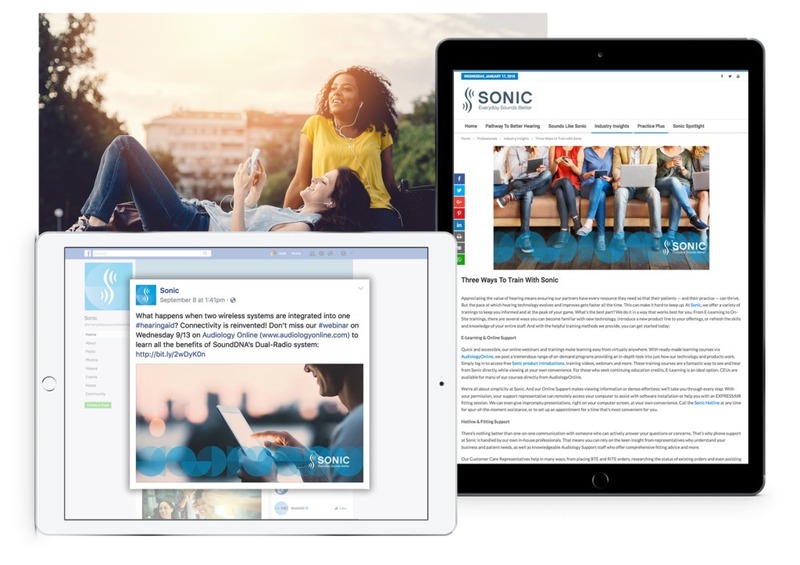 Grow Sonic’s audience through targeted campaigns to B2B/B2C audiences wherever they are in their buyer journey. Promote important product launches and sought after content to elevate Sonic as an industry leader. Drive traffic to key Sonic destinations (e.g., webinar registrations, blog, social media channels) and increase new business leads. Our #CaptureEverydayMagic contest supported Sonic’s new family of hearing aids, Enchant. User-generated content from sales reps and Enchant wearers elevated brand perception and created a community driven by social sharing. 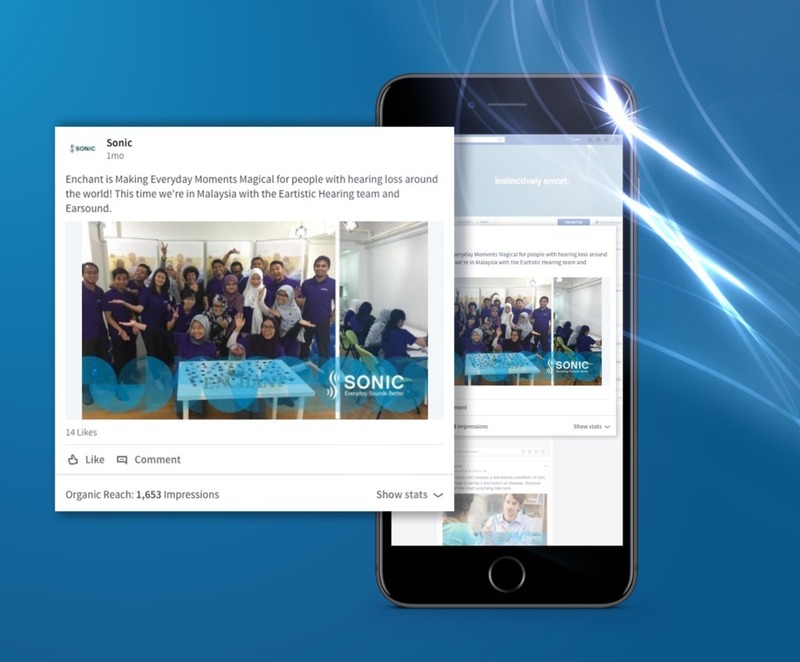 Launched Sonic’s first-ever blog supporting hearing care professionals and hearing loss consumers. In less than two months, attracted over 1,000 sessions and continues to grow overall website traffic and audience interest on social media. Creating opportunities for professionals to elevate their practices and learn from Sonic (while earning CEU credits along the way). 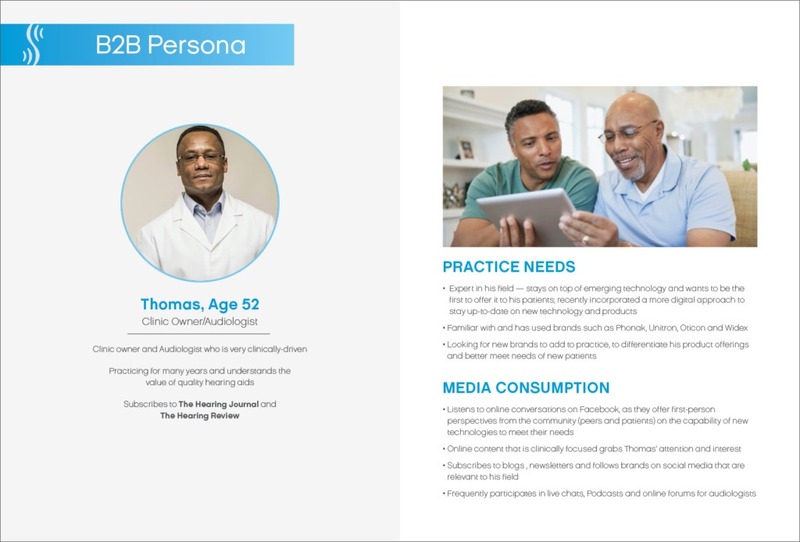 Efforts grew webinar registrations and Sonic’s reputation as a leader in hearing healthcare. 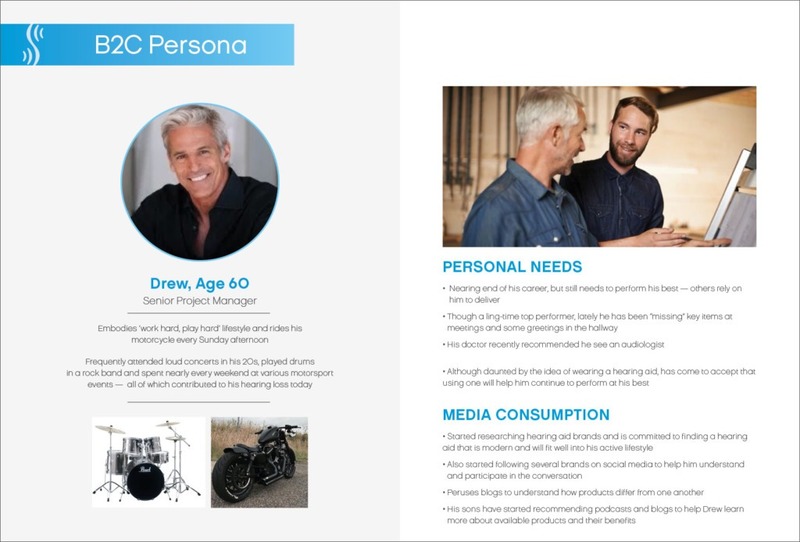 Celebrating worldwide partnerships, Trajectory helped Sonic foster deeper connections — reiterating the brand’s commitment to make Everyday Sounds Better for Hearing Care Professionals and those they serve.